It was quite the morning here in Redmond, on the Microsoft campus. A morning keynote – the company abhors a late start – kicked off BUILD, Microsoft’s key development conference, launching what could be described as the real season of Windows 8 application development. The driver behind Windows 8 application development has thus far been in a large way Microsoft. The company has worked with – and paid, and paid for – companies to develop for its new platform. In fact, Microsoft kept the Windows Store rather constrained for some time in terms of who could submit applications to it; this kept supply low. All that is over now, Microsoft wants nothing more than more developers building applications for its Windows 8 platform, which has now shot into the market, selling a firm, if not spectacular, 4 million upgrades in its first 3 days on the market. That figure, and what appear to be non-flopping sales of the Surface RT tablet, and Microsoft has delivered a real, and growing userbase to its Windows Store. It needs to service that crowd. And that means it needs more total applications. Where are we now? Roughly 18 hours ago, the Windows Store, according to the inimitable WinAppUpdate, crossed the 10,000 app mark. Before that point, the same service noted that the Windows Store was approving around 500 applications a day; by that mark, we should be at around 10,375 applications in the store. That’s very back-of-the-envelope, so bear it with salt. I highlight this to make a point: App stores are big, empty spaces that need filling; and much like a library shelf, even 10% empty space cries out loudly. In short, you either need to be bursting, or you’re not even in the running. Continuing the thought of emptiness, it’s key to keep in mind the number of categories that Microsoft encourages you to explore in the Windows Store, and the huge tilt in the current Windows 8 app store towards games; there are categories in the Windows Store that feel a bit barren. Therefore, 10,000 apps, whatever the real, total figure is at this very moment, is nothing more than a start, a first attempt. By artificially constraining app submissions for so long, Microsoft may have overly squeezed the number of apps that its very first adopters can enjoy. Perhaps not. However, this is merely the groundwork for what is going on right now, as Microsoft attempts to stomp on the accelerator with such force that developers cobwebbed in building for Windows versions past are forced to shake loose, land at their keyboards, and begin developing for the Windows 8 store. Microsoft’s message is exceptionally clear: Windows 8 is the best version of Windows yet; the install base will be simply massive; this creates a functional, and economic opportunity that you, as a developer, simply cannot pass up. Oh, and here’s a Surface, a Lumia 920, and 100 gigabytes of SkyDrive capacity to get you started. Really, you are going to love it. The various pieces of that will resonate in different ways depending on what happens next. That Windows 8 is the best version of Windows ever is an odd claim, as Windows 8 changes much of how Windows has long worked. Thus to call it the best version of Windows yet is to denigrate that which came before it; and Windows 7 was pretty good, as you know. Therefore, it’s a hard statement to swallow, even if it may be true. If the company instead said that this is the most innovative version of Windows, or something similar, that may have been a stronger sell. That the developer potential will be unmatched is hard to argue; Windows 8 will sell hundreds of millions of copies. What Microsoft hasn’t done is explain how it will deliver the vast number of Windows 8 users who will not be operating using a touch-enabled machine, to a Store for which much of the apps built for it lean on touch-based input. That’s an open, sticking question. Simply selling 400 million Windows 8 licenses doesn’t mean that Windows 8’s app store will have 400 million active customers. Still, even at a low rate of engagement, Windows 8 will have a massive userbase, and thus this claim is, with some caveat, believable, and accurate. The free goodies only impact the few thousand developers who are here, on-site, at BUILD. The damn event sold out in 53 minutes; most people who wanted to come, it would seem, didn’t get to. Therefore the draw to Windows 8 for developers almost feels lacking, in that it’s not an automatic slam dunk. And the perverse side to this is that as the number of apps in the Windows Store rises, a sign of Microsoft’s success, the harder it will be for individual developers to stand out, lowering their potential economic reaping, and thus making the platform in a sense less attractive. Windows Phone 8 development, assuming that Windows Phone development remains mostly strong – despite whining, hitting the 120,000 app mark has been a triumph for the small mobile OS – could lead to spill-over to Windows 8, meaning that apps designed for one could be ported to the other. Odd that Windows Phone could help Windows 8, but that’s the case. Finally, a good note on Microsoft’s built-in flexibility on how one can build apps for Windows 8. That was the right move. Taken altogether, the value proposition that Microsoft is putting forward has strong elements to it, but also a fair share of question marks. In a very real way, having strong, official data of Surface RT sales would be exceptionally useful towards closing some of those questions. But, things are early, and Microsoft, if it revs the engine now, could boost the number of apps in its Windows Store before the holiday tsunami hits. That appears to be its goal. Hence BUILD. The company has the next several days to preach its gospel to an elite – or perhaps just lucky – set of developers. If it can’t convince this cadre, it’s in a serious spot. 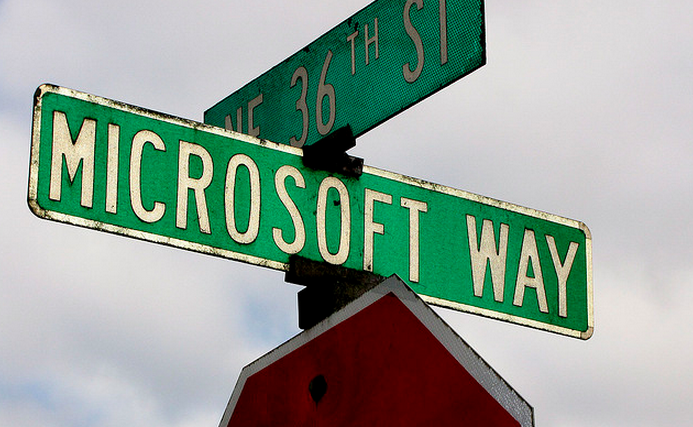 TNW will keep an eye on app flow into the Windows Store. If it slackens, or picks up, you will be the first to know.